It is wonderful opportunity to be in this profession. This market is open 24 hrs a day. Good luck. Kush is very knowledgeable and considerate of customer requirement. You are doing great Kush. I would give 10 stars if i could. Excellent in every area. Fast communication. Understands customers needs. Goes the extra mile in every area! I know Kush as a very fine realtor and sold my last investment home through him. Kush brought to the table creative ideas and solutions. He was quite resourceful and always a phone call away. We appreciated his experience and approach in addition to the time he invests to address any concerns. I bought a house with Kush and it went really smoothly. His communication was quick and he offered lots of helpful tips on making the place work for me. I'd definitely work with Kush again! Just when we had lost all our hopes and respect from Realtors in Toronto, we met Kush Gupta. 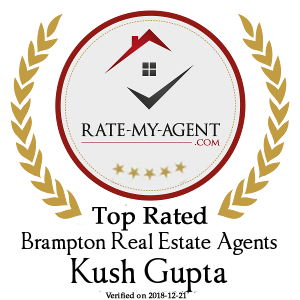 He was the most efficient, hardworking and detailed oriented realtor we have ever met! Too good to believe ?? He was not only very knowledgeable but also patient, straightforward, polite and professional. He met with us and answered all our questions very honestly. He found great tenants for our house and basement within a day! He made our whole experience less stressful. Even after we concluded our dealing, he is within a phone call away if we need anything. We would recommend Kush to anyone who is looking for a reliable, trustworthy and good realtor in the market. We know we are going back to him for our next purchase of home. Kush had been remarkably helpful. He worked closely with us to understand our needs and got us our property in less than 2 weeks. Our experience was really enjoyable. Kush was very informative and professional. He really understands the local housing market. He was even available late night for quick phone calls for questions and was also able to accommodate last minute request for showings. His services are very transparent and client focused . Working with Kush has been extremely enriching. Our first meeting with Kush was like having attended a course in real estate buying and selling and having received a lesson from a Professor, rather than having been solicited by just another real estate Broker. 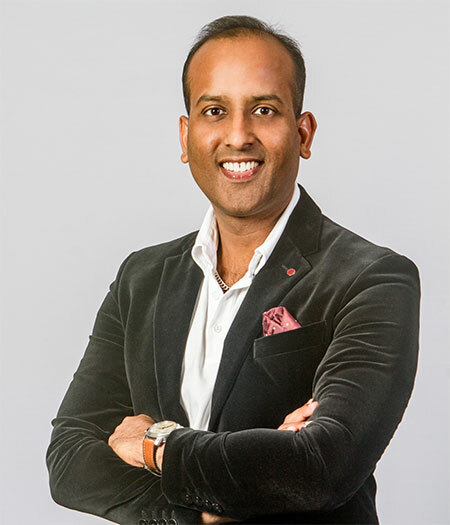 We felt reassured having entrusted our real estate interests in Kush’s hands knowing fully well that he is knowledgeable, experienced, diligent and honest. We are proud to be associated with Kush Gupta and can’t imagine anyone that meets him once, will ever have to look beyond him, for their lifetime of real estate needs. Kush stands out in every respect as a dependable and trust worthy real estate professional and brand “Kush Gupta” is set to take over GTA and beyond in the days to come, as the region continues to grow at a rapid pace. As for myself and Peter we just want to take the opportunity to say thank you very much from the bottom of our hearts you really made our dream come through we still can't believe how comfortable you made this experience for us you good by your every word you are a true and loyal business man thank you again, you will always remain in our thoughts and prayers the world needs more people like you. Congratulations on a job well done. God continue to bless you and yout family throughout life. Kush was amazing with helping my son and I rent a beautiful basement apartment. I highly recommend Kush with any rentals, he made the whole process easy and stress free! Hi morning felt soo great to wake up this morning and look outside to see the sold sign you put up and our other deal is maturing really great feelings thank you again for a job well done we see the passion you have for your work thanks again. Kush sold the house in 1 day, he is fast in response, and gives timely updates. Very transparent in approach, it was good working with Kush, all the best for your future deals. Kush sold our house and set a record for our street! He responds to every question or concern we had right away and was very helpful guiding us through the entire process. He is very knowledgeable, a tough negotiator and available day or night when you need him. I highly recommend him to anyone looking to buy or sell, he's an amazing agent! I highly recommend Kush to anyone trying to buy or sell their home. His turn around time was amazing and had our property sold within 2 weeks. Being pregnant with twins he made it a point on keeping the transaction on both the sale and purchase of the home smooth. Will definitely be using him in the future and would recommend him to all my family and friends. Mr. Gupta is a very seasoned and responsive real estate professional who knows the business inside out. His very acute solutions driven approach makes him stand out from the crowd. A true professional and with a pulse on the client's requirements, he is always forthcoming on resolving any foreseen issues. Needless to say that he is amongst the most networked professionals in the industry, It is always a pleasure to do business with him. We hired Kush a few years back to guide us through a few real estate investments, and they turned out to be outright winners. We found him deeply knowledgeable and most importantly...having a lot of patience, a trait most realtors do not possess. We had a great experience working with Kush. I couldn’t believe how responsive he was to all of our requests and questions, and knew far more than we ever hoped to know about the process of buying a new home & Selling. We contacted Kush initially based on positive online reviews to sell our Investment property and couldn’t have been more satisfied with the process from Intial staging until House was Sold. Highly recommend Kush Gupta. Kush is amazing, very knowledgeable and knows a lot about the market and good negotiator. He sold my house in no time. Definitely recommended to people I know. Will continue doing business with you again for sure! I highly recommend the services offered by Toronto real estate. Kush Gupta has a wide range of real estate solutions to offer. Reach out to him for interesting deals! I can't think of a better example of quality service, integrity and professionalism mixed with discipline, and dedication in meeting and exceeding client expectations. Kush Gupta is personable, respectful, patient and his experience and knowledge shine through when he is representing you. I would put a lot of faith in someone who has proven themselves time and again regardless of the size of homes he has listed or value. Kush Gupta outshines the rest. I felt honored to have him in Team Alliance Realty Inc. Keep up the good work Kush !!! !